In order to keep your heating and air conditioning system operating in the best possible fashion, it is necessary for you to have a professionally licensed air conditioning and heating contractor on call for HVAC maintenance in New Jersey. At Steele Mechanical, LLC Air Conditioning and Heating, we would be proud to be that HVAC contractor. In every service that we provide, we have one simple goal. Our objective is to provide our customers with the highest quality heating and air conditioning services possible. In this way, we can convey the fact that you can trust us with all of your present and future HVAC maintenance needs. More importantly, by bringing this dedication to excellence to task for you, we can achieve your complete and total satisfaction. 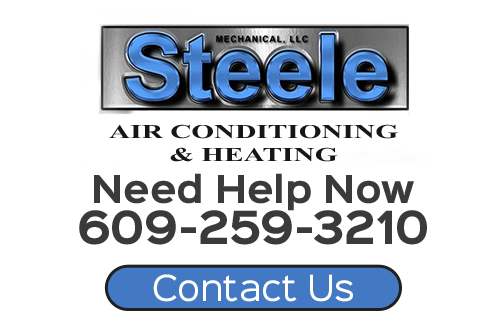 If you need to hire a professionally licensed HVAC contractor to provide for all your heating and air conditioning maintenance needs, call Steele Mechanical, LLC Air Conditioning and Heating today. Our polite and knowledgeable staff would be happy to assist you in any way that we can. We can schedule your appointment today. During the summer months, your air conditioner is relied upon quite heavily. As such, it is important to keep it well maintained during the cooling season. The most common cause of air conditioning breakdowns is the fact that the owner failed to conduct routine and adequate maintenance. When you hire our professionals for your routine maintenance needs, you can feel confident knowing that your air conditioner will provide for all your comfort needs all summer long. Even better, this enhanced level of comfort will be achieved in a much more efficient fashion. Routine air conditioner maintenance will help you avoid the need for emergency air conditioning repairs, too. Your heating system is a complex machine with many moving parts. As such, if you fail to conduct routine maintenance on the system, it will inevitably fail much sooner than it should. Through our heating tune-ups, our New Jersey HVAC contractors can help save you money in both the short and long term. Our maintenance services will mitigate damage and heating repair costs, enhance energy efficiency, and extend the service life of your heating system. 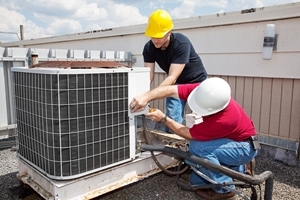 Our heating contractors and AC service specialists are also highly capable at providing commercial customers with all their HVAC maintenance needs in New Jersey. Our professionals will always be on call for your business. We will work our hardest to ensure that your HVAC system complements and enhances the productivity and profitability of your commercial property. If you would like to schedule HVAC maintenance in New Jersey, please call 609-259-3210 or complete our online request form.